As soon as Thanksgiving is over it's as if my brain does a little reset and I'm in the holiday spirit. I think Boston has a little of that mentality too because the holiday markets & activities start popping up every single weekend!! A few people have asked for me to share some fun activities to do around the city during this time of year - so I thought I'd list out my favorites along with some new things coming to the city this year! Ice Skating in the Boston Common || This is the most quintessential thing you can do in Boston during the holidays and all winter long! It can get a little crazy midday, so be prepared to skate in close proximity to others, but it's all about the experience right?! The Nutcracker || I remember seeing The Nutcracker when I was really young & two years ago Gary surprised me with tickets to the show and seeing it again as an adult, I definitely have a new found appreciation for the show! It runs from the Friday after Thanksgiving to New Years Eve! It's also in one of the most beautiful Opera Houses in Boston! South Boston Holiday Market (December 3 & 4)|| This year will mark the second South Boston Holiday Market with food, small business owners & artists. This has the same feel as SOWA - the outdoor market in the spring / summer. We went last year & made a full afternoon out it! Faneuil Hall Christmas Tree|| This past weekend we knocked this "to do" off the list. It's Boston's version of the Rockefeller Center Tree! 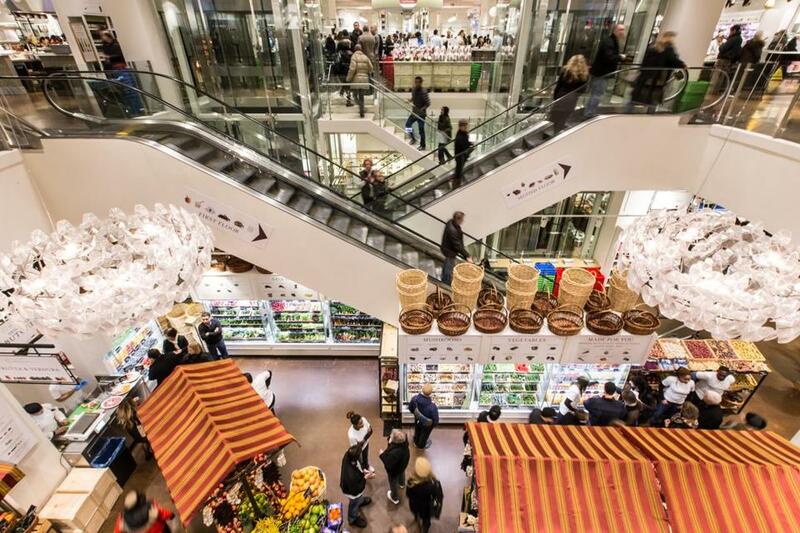 via Eataly || So...Eataly opened this week in Boston - the third in the country and I am so excited! With cafes, restaurants & stores - I'll be spending a lot of time here this winter. What's better than fresh pasta when it's cold outside?! Not much! If you're wondering whether or not you could spend a snowy day there - it's a 45,000 s.f. Italian food emporium - so the answer is YES! Boston Winter at City Hall || This is another new to Boston this year experience! 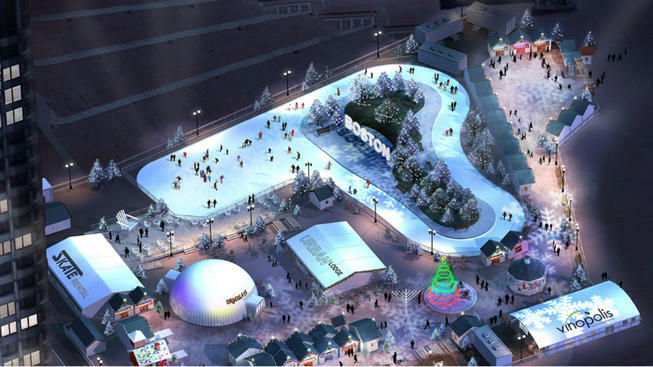 Boston City Hall Plaza is going to be transformed all year, starting with Boston Winter! There's going to be a holiday market with local vendors and an ice skating path which will be open until February. There is a space called "Vinopolis" - the city of wine...I mean this is going to be a very popular attraction this winter! Holiday Pops at the Symphony || I'm not sure how I've lived in Boston for 7 years and haven't made it to the Holiday Pops show! They perform the entire month of December so I'm looking forward to knocking this one off the list! The Beacon Hill Holiday Stroll || You all saw my favorite street in Boston, well it just so happens to be in my favorite area of the city as well and there is an annual holiday stroll complete with carolers and horse buggy rides! Seems like I have a lot of fun ahead this holiday season! Have I convinced you to come visit Boston yet? What are some of your favorite Holiday activities in your city? So many fun things! You know I want to visit Boston so bad - these things make it sound even more amazing! This got me even more festive feeling!! What a city...someday, someday and that will include major girl time with my sweetest Boston dweller ever...YOU Beautiful!! Have a great day!! So jealous y'all have an Eataly! We spent 3 hours at the one in Chicago while on a bachelorette. It's the best spot for a long, boozy lunch! I would love to spend some time in the Boston over the holidays! Everything looks beautiful and it sounds like so much fun! So many fun things to do in Boston over the holidays! We were just saying we really want to go back - we got engaged there and it's been a few years since we visited last! So jealous about Eataly! There were rumors it was coming to DC, but nothing yet. Still keeping my fingers crossed though! The only time I was to Boston was when I was super little! I want to go so badly! There are so many wonderful things to do there! And it is so so gorgeous! All the history is so gorgeous! The Beacon Holiday stroll sounds so lovely! If I come we must meet for coffee! So many of these sound like festivities we have here in DC too and they're so much fun! I would LOVE to go to Eataly--I have never been even when I've visited the cities that have it! Can't wait for the holidays! As fun as regular ice skating is, I think I would skip that for this ice skating path at city hall! That looks way more entertaining than just skating in a regular rink. Enjoy crossing some of these off of your list in December! That's such an amazing tree! This post is giving me Boston nostalgia since it snowed when we were there haha :) Soo cool you guys got an Eataly! I've always wanted to go when we've been in New York, but have never made it & I think they decided against one that was going to be in DC. Love this post, so many great things to do here this holiday season! I cannot wait to check out Eataly and the Boston Winter at City Hall. So fun! i could spend days in eataly that's for sure! the one in NYC gets me every time and i'm sure it's just as fab in boston. and the nutcracker is so so christmas i just love it. reminds me of seeing it in manhattan as a little girl. i see that the orlando ballet is doing one here so i think i'll have to go again! Looks like there are so many fun + festive things to do in Boston. Love the holiday season! I would love to take a trip to Boston for the day and do at least one of the activities you've shared here. Now that we live in Connecticut, it's not as far. I've only ever been years ago as a kid and it was for a retreat, so we didn't leave the premises. It seems as though there are such cute charming streets to stroll through this time of year! I think I was about 8yrs old when I saw The Nutcracker and I vaguely remember it. I was actually telling Eddie that I'd love to see it again this year, I do think you have a better appreciation for these shows when you're older! Thanks so much for sharing, beauty, and I hope you're having the best week so far! 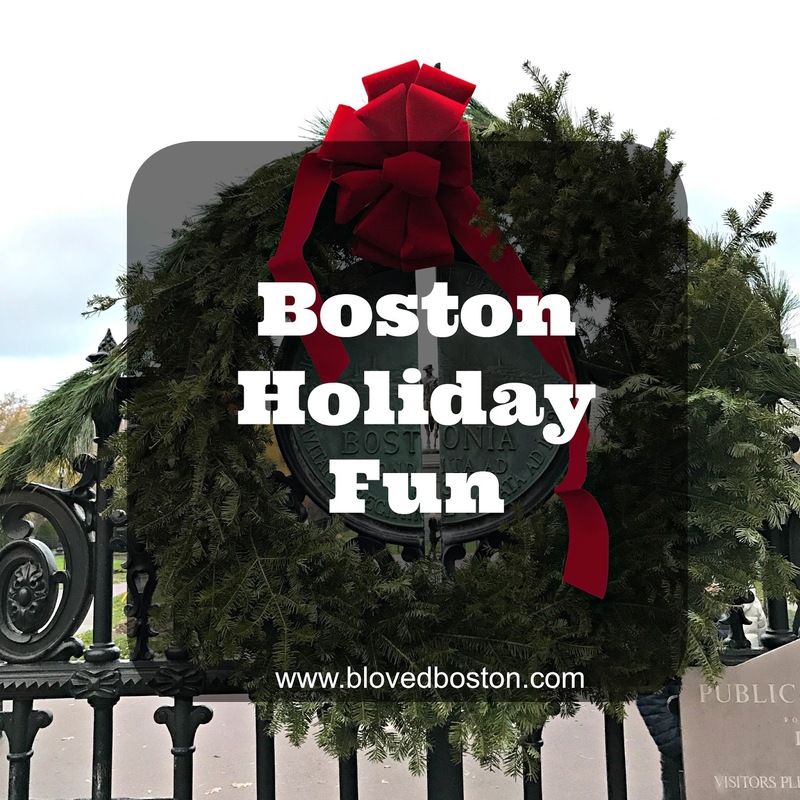 So many fun and festive activities in Boston! The city is still on my list to visit soon!! Girl you convinced me that Boston is like the most magical city in America. Even these photos I'm like "is this place real?!" It's very high up on my travel list! The last one sounds like my speed! Looks like I should plan a visit to Boston around this time of year! Everything seems so fun...especially Eataly! These all look and sound like so much fun! I loved going to the Nutcracker as a kid. You made me want to go see the Nutcracker again!!! So, I think I need to convince Ryan that we need to book tickets and take an impromptu trip to Boston. :) SO many fun things to do by you this time of year - I hope that you get to do it all! Sweet! Looks like a lot of fun is going on! It makes me dream again! Nutcracker! The Boston Holiday Market sounds like it'll be so much fun!! Now that Thanksgiving is over, I'm starting to really get into the holiday spirit! You've totally convinced me to come to Boston this holiday!!! Can I come visit?? All these activities sound like SO much fun!! I know I've said this a hundred times, but MAN, do I want to come visit Boston!! Brian has to travel for work in January, and it may be to Boston, but I won't be able to go because I have to stay home with the babies. Waaaahhhh. okay, i'm super sad right now that i don't live near boston! oh my gosh, the holidays must be so perfect there!! Christmas in Boston is one of my favorite times of year!! When we're up there this year, I definitely want to check out Eataly - what an AWESOME idea! We had the best time the last time we went up there! This makes me miss it so much! I definitely have to get another trip on the books sometime soon! I will be adding these to my list of things to do this month!! Eataly?!?! I have never heard of this but I need it in my life! I just love Christmas time, and activities like this make the season so magical. Love that you guys have so many things to do and see....and eat! Such a great list! I was in the nutcracker when I was little and hadn't been in years so we finally went last year and now we're making it a tradition! That new area with the skating rink looks like such a fun spot! I miss Eataly! I seriously loved it when we lived in Chicago. I hope they open one in Dallas! You are making me miss Boston so much. I love visiting there. I have never been during the holidays though and it seems like a must now. It looks like Boston really does go all out for Christmas! Seeing POPS during Christmas just sounds Iike the Bostonian thing to do, so I hope you get the chance this year! Wow that ice skating rink is crazy awesome! Boston looks like a wonderful place to be during the holidays. Wow! Boston has a ton of cool holiday things. That combined with the snow and it would be impossible not to get in the holiday spirit. We are going to the Nutcracker and I'm really excited! I love seeing city's BIG tree decorations! In DC we have the one by the White House and then they decorate 50 mini trees with each state (and usually the decorations have something to do with the state so Maryland has crabs, etc). It's always a fun trip for us to go into the city and see the trees! Wow, wish we had events like that where I am right now! I always love your Boston posts because we want to go! 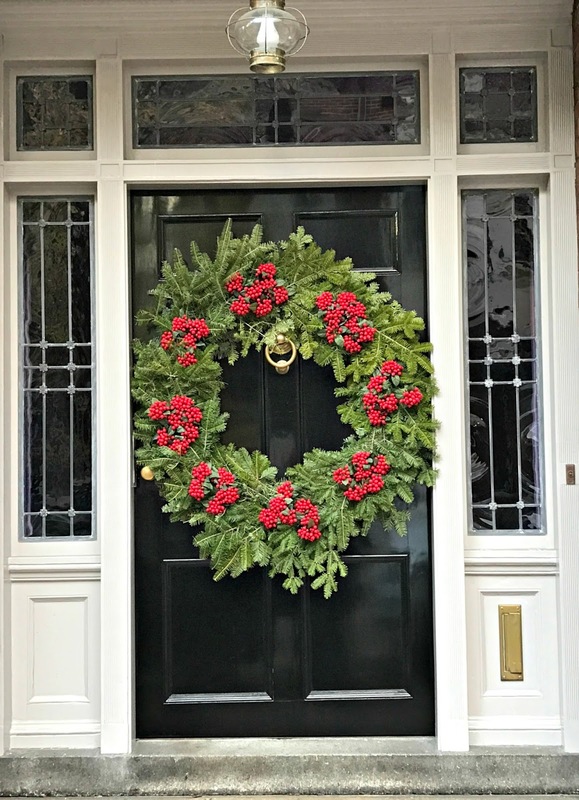 How gorgeous is that front door and wreath! You make me want to fly to Boston right now! For sure, Tampa Bay tries to make it feel as holiday-like as possible, but to me nothing beats a North Eastern Christmas (Maybe b.c I am from NY)! Aw I bet Christmas in Boston is amazing! I have always wanted to do outdoor ice skating! So fun! So many fun things to do! I need to get there, and this seems like a great time to get there! Oh Eataly is just the best! I loved my one visit and can't wait to get back! I feel the same way!! My brain is in some kind of holiday mode and I can't focus on anything I'm supposed to! Ha. I just need to say, that you make me want to visit Boston!! These are some of my favorite holiday traditions in Bosotn! Love this post, so excited for the Beacon Hill holiday stroll! So many festive things to do + see! Love the idea of skating at the Common! This is REALLY making me want to plan a trip!!! :) I've heard so many wonderful things about Boston! christmas in big cities are the best! super fun post! My in-laws moved away and this is our first year not being able to be up there for the holidays. I am so bummed! Enjoy it!!!! Boston looks gorgeous! And a holiday stroll with carolers and horse buggy rides sounds so Christmasy and perfect!!!! Great suggestions! This may sound creepy, but I want to drive around some New England neighborhoods and look at people's Christmas decorations. I could do that here, of course, but something about holidays in New England sounds lovely. I love how your city has so many fun things to do year round! That Eataly sounds awesome!!! Thanks for sharing!